The oxidative stress analysis pinpoints the metabolic deficiencies that accelerate the aging process and lead to degenerative diseases. For the past 25 years, physicians and researchers alike have studied oxidative stress in the body. More recently, attention has been focused on the many disorders tied to free radical chemistry (such as diabetes) and its strong link to the aging process. While the biochemical significance of oxidative stress has been understood for some time, it has been more difficult to assess its impact upon individuals and to measure effectiveness of therapeutic intervention. Genova Diagnostic Laboratory has developed a sensitive assessment utilizing acetaminophen and salicylate challenges to evaluate oxidative stress status, antioxidant reserve, and the interrelationship with hepatic detoxification. This test allows clinicians to develop individual therapies for patients and monitor treatment progress. When oxygen molecules split into single atoms that have unpaired electrons, they become unstable free radicals that seek other atoms or molecules to bond with. Free radicals increase with increasing metabolic activity and are related to alterations in biological oxidation/reduction reactions. It is suggested that aging and the degenerative diseases associated with it may be attributed to the deleterious side-effects of free radicals on cellular constituents and that antioxidants may play a very important role in helping to protect against free radical oxidative damage. 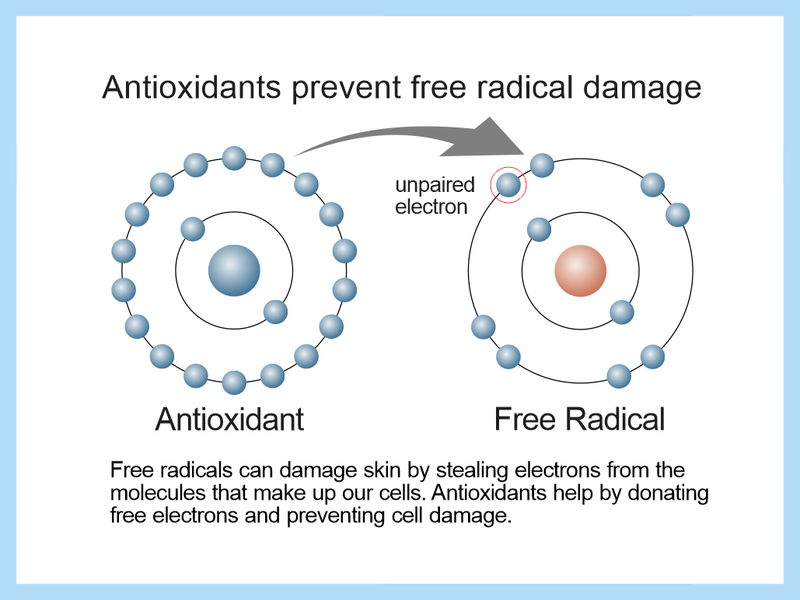 In other words, free radicals can cause damage to other cells but can be neutralized effectively by antioxidants. During the early 1970s, Irwin Fridovich posited that one of the most important oxidants in the cellular systems could be superoxide, which is created as a consequence of the univalent reduction of molecular oxygen to a free radical-like species. The late Linus Pauling was the first to propose that oxygen could be converted to superoxide by a variety of chemicals and physical methods and could be important in physiology. The birth of the field of free radical biology can be attributed in part to Pauling's pioneering work in inorganic chemistry, which occurred in the 1920s. More recently, Helmut Sies described the physiological state associated with increased production of reactive oxygen species (ROS) as a state of "oxidative stress." In 1985, he defined oxidative stress as a disturbance in the pro-oxidant/antioxidant balance in favor of the pro-oxidant state. In this situation, the organism is under increased exposure to reactive oxygen species which participate in free radical-induced alterations of cellular components through exponential chain radical-carrying mechanisms. Protection against the pathlogy induced by these oxidant species is provided by a broad class of protective agents termed antioxidants, represented by both small molecules such as tocopherol and ascorbate, and enzymes such as superoxide dismutase and glutathione peroxidase. Oxidative stress at the cellular level results from many factors, including exposure to alcohol, medications, trauma, cold, toxins, or radiation. Oxidative stress can also be a consequence of liver exposure to xenobiotic substances which induce oxidative reactions through upregulation of the cytochrome P-450 mixed function oxidase system. This process can deplete specific cellular antioxidants such as glutathione, vitamin C, or vitamin E.
Free radicals can be generated in a wide variety of normal physiological functions. In some cases, they are protective in nature but they can be harmful if not processed rapidly. Free radicals and lipid perioxides have been found to be elevated in patients with rheumatoid arthritis and systemic lupus erythematosus, as well as patients with glomerular disorders. They play an important role in regulating hypertension through the degradation of prostacyclin and nitric oxide. Free radicals have been inplicated in the etiology of diabetes and potentially in some of its long-term complications through the destruction of pancreatic beta cells. Notably, patients with Type I diabetes and angiopathy were found to have substantially higher lipid peroxides than controls, leading to the suggestion that this might be involved in the development of atherosclerosis. Reactive oxygen species have also been implicated in the development of tissue damage in ulcerative colitis, in breast cancer risk where lipid peroxides were found to be highest in women with mammographic dysplasia, and in a variety of liver diseases. All these processes have the potential to impact one another through the free radicals that they generate. The free radical mechanisms of the human body might be viewed in analogy to an army that has the potential for great good, but must be kept well disciplined and well fed. When exhausted by repeated attacks and poorly fed, this army has the potential to cause vast damage. The Oxidative Stress panel can be ordered by itself or in conjunction with the Detoxification Profile for a more complete picture of the body's detoxification function. The Oxidative Stress panel includes measurement of blood glutathione, lipid peroxides, Glutathione peroxidase (GSH-Px), Superoxide dismutase (SOD), and two derivatives of salicylate: catechol and 2, 3-dihydroxybenzoate (2,3-DHB). In the 1970s, Linus Pauling discussed the use of therapeutic doses of vitamin C to prevent and treat viral infections. Robert Cathcart reported in numerous clinical instances the therapeutic benefit of using "bowel tolerance" doses of vitamin C (the oral dose which will initiate diarrhea) for the treatment of many virus-related disorders. Although his theories have not been proven through detailed mechanistic studies, many clinicians have reported anecdotally that their patients have benefited from this therapeutic approach. There is emerging recognition that individual antioxidants may not have as wide-ranging clincial benefits as the intake of balanced antioxidants which incorporate all the dietary redox-active substances people have consumed for millennia. This is due in part to the involvement by different antioxidants in the prcess of regenerating each other. Specific antioxidants include ascorbate, carotenoids, and tocopherols, but also extend into other photonutrients such as phenols, flavonoids, and quinoids. 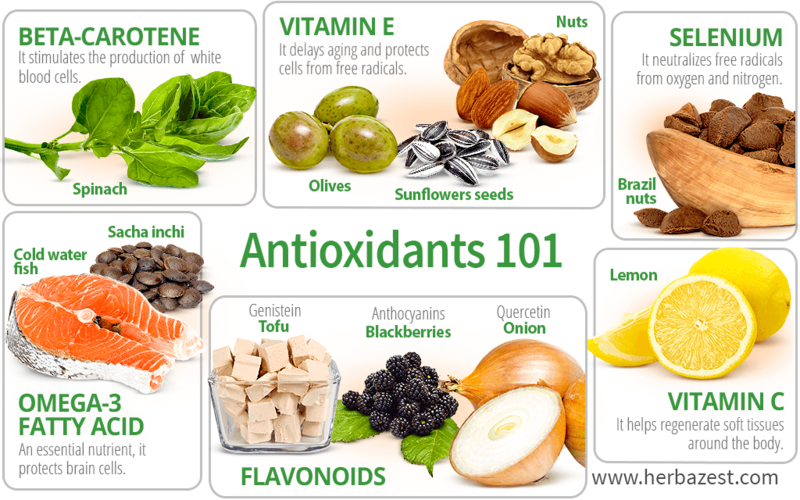 There is growing acceptance among scientific and medical communities that enhanced antioxidant intake in the diet and specific application of antioxidants in certain states of oxidative stress may provide both preventative and therapeutic advantage.